Wow. I can’t believe I posted in September of 2007 that I was working on a new book and it’s now July 2009 and there’s been no book. Not long after posting, I got an interesting freelance job, working on dinners that were held across Canada. Add to that, the regular job gets busier and busier, I neglected the new book for quite a while. But since Passover of this year, I’ve picked up the book work with a vengeance. 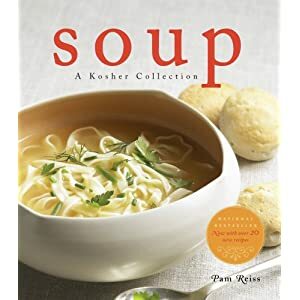 When I was writing food columns, the ones that always got the largest response were the Passover recipes. Readers and customers always wanted new ideas for Passover. Newer cooks often asked how to make traditional recipes. So that’s what I’m doing for the next book. Passover. A great selection of traditional recipes with a lot of modern recipes thrown in. It will be a push to get it ready and out in time for Passover 2010, but I’m going to do my best to get it done. I’ll be sure to update this when I have a better idea of when it might be available. Thanks! Good to be back. I hope to be much better at posting now that I’m back.